After a certain age, there ought to be a law against breakouts. Unfortunately, so many of us still get pimples and zits well into our twenties, thirties, and even forties. If you want to get rid of acne, you don’t have to take drastic measures. Forget the over-the-counter remedies and try these natural tips. The treatment you use to get rid of acne will depend on the type of acne you have. There are five common types of acne. Whiteheads are probably the least invasive type of acne you can have. They stay flesh-colored and never cause you any discomfort or embarrassment. This type of acne is just a result of clogged pores and usually clears up on its own without too much need for drastic treatment. Blackheads occur when the sebum and keratin in a whitehead get exposed to the air. This type of non-inflammatory acne tends to occur around the “T-zone” or the forehead, lips, and chin area. They can be especially stubborn to get rid of and be hard to cover up on fair skin. Papules are a mild form of inflammatory acne that you’re probably already very familiar with. They’re small red bumps with a white “head” on the end. Papules can appear anywhere on the face, neck, chest or back and can be very difficult to get rid of. Popping these pimples can lead to scarring and often leads to more breakouts do to the spread oil and bacteria. Pustules are papules that have become infected and filled with pus. They’re often large and painful to the touch. Again, popping these zits only makes things worse so it’s best to avoid the temptation. When acne occurs deep within the skin’s surface, it becomes a nodule or a cyst. Nodules are hard, inflamed lesions without pus and cysts are pus-filled. This type of acne often sticks around for weeks or months at a time and can be very painful and sore to the touch. 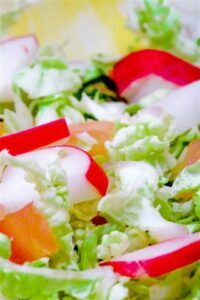 A diet filled with processed foods and convenience foods does not do your skin any favors. One of the unusual causes of acne I’ve mentioned in a previous post is gluten intolerance. When acne erupts on your skin, it’s a sign that something in your body is not in balance. Gluten is a protein found in wheat, barley, and rye. If you are gluten intolerant, your body is unable to digest this protein and you may experience diarrhea, bloating, abdominal cramping, skin rashes, brain fog, and acne. Another common cause of acne is something you probably do all the time without realizing it; touching your skin. If you’re the type who, out of habit, touches your face, neck or chest regularly throughout the day, the dirt and bacteria on your fingers will transfer to your skin and make you break out. Medications for thyroid, depression, anxiety, and bipolar disorder can also lead to the eruption of embarrassing acne breakouts. If you want to get rid of acne once and for all, you have to do more than just wash your face regularly. You have to treat it from the inside out. A healthy diet is the cornerstone of good health. Remember, if you’re breaking out, your immune system is over-reacting to its environment and you’re not as healthy as you could be. If you really want to say goodbye to zits for good, you have to get serious about your diet. Clear out the junk food and bring on whole food fare such as organic vegetables and fruit, nuts, seeds, legumes, meat, wild-caught fish, and healthy fats like coconut oil. Also, remember to drink plenty of water. Chronic dehydration can lead to acne breakouts. Do you use a lot of make-up on your skin to cover up breakouts? You may actually be making the problem worse. There are so many dangerous chemicals in cosmetics; they should be outright banned from use! Switching to all-natural skincare products not only helps you get rid of acne, it may keep you from developing cancer and neurological problems down the road. Getting rid of acne may be as simple as adding a few necessary supplements to your diet. Even if you’re eating a very healthy diet, chances are, you’re still not getting the nutrients your body needs to stay healthy. Oftentimes, acne is a sign that your digestive system is a bit out of whack. Adding a probiotic supplement to your diet can help improve the way your body absorbs necessary nutrients from food. Vitamin C is a powerful anti-viral and immune system booster. It can help get rid of acne from the inside out. Zinc is an essential mineral that can help clear up acne breakouts in a couple of months. Millions of people are deficient in this essential nutrient because hardly any of us dare to leave our houses and get in the sun anymore for fear of skin cancer. I had skin cancer in 2007 and I never sunbathed. It was because I was deficient in vitamin D! Adding 1,000 – 5,000 IU of vitamin D3 can make getting rid of acne easier by balancing your immune system. It can also cut your risk of melanoma. Getting rid of acne doesn’t have to be difficult or expensive. There are plenty of natural remedies you can use to get rid of those stubborn zits once and for all. All you have to do is mix ½ cup of apple cider vinegar (the kind with “the mother” or live, active cultures) and ½ cup of lukewarm water and dab the mixture onto your breakouts with a cotton ball. Within a couple of days, you should notice a positive difference. Tea tree oil is an essential oil that can help you get rid of acne without the drying side effects of over-the-counter creams. Tea tree oil is a natural antibacterial and antiviral that can be used directly on the skin to clear up zits and prevent them from coming back. For best results, use tea tree oil with a carrier oil such as vitamin E oil or coconut oil. Witch hazel is an all-natural astringent your grandmother probably used to clear up her skin and keep stubborn zits at bay. You can still find this cheap natural acne treatment in the first aid isle of your pharmacy or grocery store. Clean skin thoroughly with a mild cleanser and apply witch hazel twice per day. If dryness occurs, switch to once a day. It works! You don’t have to go out and buy something fancy to exfoliate with. Baking soda is amazing stuff. Mix ¼ teaspoon of baking soda and a bit of water to make a paste. Using circular motions, apply the mixture onto wet skin and rinse off with warm water. Follow with a cold water splash to tighten pores. Regularly exfoliation of your skin helps you get rid of the acne you have and prevents new breakouts from forming. It might make your skin smell weird but it really works. 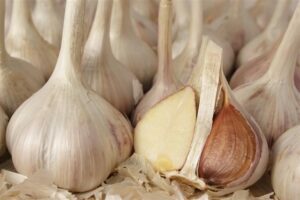 Take one clove or organic garlic and cut it in half. Rub it directly on each of your breakouts and allow it to stay on for half an hour or overnight. If you experience any serious stinging or burning, rinse it off with water and a mild soap immediately. Getting rid of acne may seem impossible when you’re just covering up the symptoms. Healthy, beautiful skin emerges when you heal your body from the inside out. Don’t just cover up acne with make-up; heal it completely with a few dietary and lifestyle changes. You’ll be amazed at the results!